As one solution to Australia’s failing governance to mitigate and tackle national disasters (bushfires, storms, floods, drought, earthquakes,etc) I propose the complete overhaul of Australia’s current state-based disparate system. This reform initiative proposes to transform and consolidate the many state-based bushfire and emergency services across Australia and Emergency Management Australia into one standardised national professional body. I propose a new national defence corps be established under new national legislation. The proposed name of that body is to be Australia’s ‘Civil Emergency Corps‘. The ‘Civil Emergency Corps‘ is to become a fourth arm of Australia’s defence forces along with and having the equivalent status and ‘defence power’ as the Army, Navy and Air Force, yet be purely non-combative. The ‘Civil Emergency Corps‘ will be an equal partner with our Army, Navy and Air Force, but instead of focusing on national defence against human-based threats, the Civil Emergency Corps will focus on national defence against mainly natural threats. Under Section 51(vi) of the 1901 Australian Constitution, the clause dealing with ‘‘defence power‘ gives the Commonwealth Parliament the right to legislate with respect to “the naval and military defence of the Commonwealth and of the several States, and the control of the forces to execute and maintain the laws of the Commonwealth“. Just as ‘defence power‘ has allowed the Commonwealth to raise an army and navy, the term was considered broad enough to add the Royal Australian Air Force (RAAF) as a defence power in 1921. Similarly, it is argued that a new ‘Civil Emergency Corps‘ charged with civil defence and natural disaster emergencies fits within the Constitutional definition of ‘defence power‘. A special national commission should be established by the Australian Government to review and shape the purpose, functional scope, framework, organisation structure and strategies of this new corps. The initial intent is that this Civil Emergency Corps is to be modelled along the lines of the United States Federal Emergency Management Agency (FEMA) and the Federal National Response Framework (NRF), but tailored to Australia’s specific needs and circumstances and that of the Oceanic region. The design of the organisation will be based on input received from current emergency personnel, emergency experts and from the broader Australian community. Ideas from comparable organisations overseas will also be considered, such as from nations having proven effective national civil defence organisations. Funding is to be on par, have the same budget process as, the Australian Regular Army. The days of reliance on meat trays, raffles, grants and community fund raising must end. The task is too important for petty funding. Instead, the organisation is to be professionally paid, run in a military structure and to military discipline and precision. Australians in time of need deserve no less. Like the Army it will have core full-time regulars, augmented with a part-time reserve component. It will be initially staffed by the current people already performing emergency service work. Initially the existing infrastructure (buildings, plant and equipment) shall be utilised. Over time the organisation will evolve to coming up to par with the equivalent performance standards as the Army. Its resourcing will be exponentially increased to equip it to properly anticipate, monitor, and respond to any non-military emergency. To transform and consolidate the many state-based bushfire and emergency services across Australia and Emergency Management Australia into one standardised federal professional body – Australia’s ‘Civil Emergency Corps‘. The ‘Civil Emergency Corps‘ is to be Australia’s primary and sole central organisation to deal with civil emergencies including national disasters, natural or otherwise. A special national commission to be established by the Australian Government to review and shape the purpose, functional scope, framework, organisation structure and strategies of this new corps. The initial intent is that this Civil Emergency Corps is to be modelled along the lines of the United States Federal Emergency Management Agency (FEMA) and the Federal National Response Framework (NRF), but tailored to Australia’s specific needs and circumstances. The design of the organisation will be based on input received from current emergency personnel, emergency experts and from the broader Australian community. Ideas from comparable organisations overseas will also be considered, such as from nations having proven effective national civil defence organisations. This is not an exercise in administrative consolidation. It is a transformation of a disparate, outmoded and under resourced emergency infrastructure into a single centrally co-ordinated non-combat national defence organisation. It is to be a continually learning organisation learning from past mistakes, such as the failings of the management of the 2009 Victorian Bushfires. It is not to be a traditional hierarchical structure, but a programme-based matrix organisation, requiring exceptional leadership skills of its executive. In the same way as Australia’s three other corps are configured, the new Civil Emergency Corps is to be comprised of ‘Regulars’ – full-time and professionally paid, as well as ‘Reservists’ who commit on a part-time and on demand basis, who are no-less professionally trained and paid commensurate with time served. The organisational structure is to be headquartered in Canberra, located strategically next to the Australian Bureau of Meteorology, as well has being networked geographically with a ‘State Corps’ for each State and Territory. Regionally, this new organisation will have ‘Regional Brigades’ and at the local level ‘Local Units’. Each component will have its share of regulars and reservists. The existing infrastructure of the various emergency services agencies would be utilised. The organisational structure is to based on a hybrid geographical model of both Fire Brigades and State Emergency Service, decided on a region by region assessment. The regionalisation of the Civil Emergency Corps is to adopt the similar geographic structure aligned to a hybrid of that of the pre-existing State Emergency Services and Rural Fire Services. For instance, currently across New South Wales State Emergency Service (SES), NSW is divided into 17 ‘Regions’ based on major river systems. All pre-existing emergency service organisations, with the exception of the ambulance and police services, are to be disbanded and merged and integrated into one national body, the Civil Emergency Corps. The reason to maintain independence of the police services is due to the police function and role being more closely aligned to law and order than to dealing with civil emergencies. The reason to maintain independence of the ambulance service is due to the ambulance function and role being more closely aligned to hospital and medicare care than to dealing with civil emergencies. A merger and integration of the Fire and Rescue NSW, NSW Rural Fire Service, and Community Emergency Services Incorporated. A merger and integration of the Victorian Fire Brigade, Country Fire Authority and the State Emergency Service. A merger and integration of the Queensland Fire and Rescue Service, Queensland State Emergency Service and the Queensland Rural Fire Service. A merger and integration of the South Australian Metroplitan Fire Service, Country Fire Service, and the State Emergency Service. A merger and integration of the ACT Fire Brigade, ACT State Emergency Service and the ACT Rural Fire Service. A merger and integration of the Fire and Emergency Services Authority of Western Australia (which has already merged its emergency service agencies). A merger and integration of the Tasmanian Fire Service, and the State Emergency Service Tasmania. • Specialist Regiments shall be established, each having its own part-time payrolled Reserve component. • debris clearance, demolition, salvage, engineering, construction, civil infrastructure, and relief housing, farm fencing repairs. • assumes land search and rescue functions previously performed by various State Police special units, as well as rescue of trapped people from earthquakes, mines, landslides, etc. • Equipped with its own fleet of aircraft and special purpose airfields, this regiment will be regionally based and assume all avaition services including helicopter rescue, fire bombing, airborne evacuation transport, air search and rescue, and air-ambulance. It will integrate the various pre-existing airborne emergency services of each state,namely the NSW Police Rescue Unit, Westpac Rescue Helicopter Service (NSW), CareFlight Group, Search and Rescue Squad (of the Victorian Police), Tasmanian Air Rescue Trust, RACQ CareFlight, Capricorn Helicopter Rescue Service (Rockhampton), Royal Flying Doctor Service. • assumes functions previously performed by Coast Guard, including sea search and rescue and vessel salvage functions. It will integrate the various pre-existing maritime emergency services of each state, namely Marine Rescue NSW, Volunteer Marine Rescue (Qld), the South Australian Sea Rescue Squadron, the Volunteer Marine Rescue Western Australia, and Sea Rescue Tasmanian Inc.
• The risk in times of civil emergency, is that already busy ambulance services become overstretched in being expected to provide the extraordinary levels of emergency medical needs of affected people and communities. This is unacceptable. Not a replacement of the State-based Ambulance Services, The Medivac Regiment will be dedicated to functions currently otherwise performed in times of disaster by State-based Ambulance Services, Royal Flying Doctor Service, Army Medics, St John Ambulance and paramedics, and emergency field medicine. In addition it will provide medical emergency evacuation, hospital transfers, and specialise in proactive disease prevention, containment and vaccinations at times of pandemic and epidemic emergencies. • All biosecurity emergency planning and response to disease outbreaks, pandemics, epidemics, pestilence, plague, national health threats or emergencies, including mass casualty events, communicable disease outbreaks, and quarantine emergency planning and response. Well can Australia afford not to? Wait until the next disaster and then ask the question again, and again. Jul 2010: A Senate inquiry into the Rudd-Gillard Government‚Äôs botched $300 million Green Loans program has confirmed that some groups of assessors hired as part of the program are still owed over $500,000 in fees due to mismanagement and poor administration procedures under the scheme with some assessors blasting the Federal Government for failing to implement proper checks and balances. Mar 2010: The Rudd Government has recorded an $850 million blow-out in the cost of its household solar power program. Labor had only intended to spend $150 million over five years on solar rebates but instead splurged $1 billion in just 18 months! Dec 2010: Queensland Premier Bligh committed $1.2 billion into the Tugun Desalination Plant, which has been plagued by problems since it opened last year, will be shut early next year, along with half the $380 million Bundamba treatment plant and the new $313 million plant at Gibson Island. Water infrastructure has cost Queenslanders $9 billion recently and they are entitled to know the money is being spent wisely. Dec 2010: Queensland Premier Anna Bligh shelved a $192 million project involving carbon capture research. Bligh has said she is determined to make carbon capture storage economically viable and has committed another $50 million of taxpayers money to finding the answer. The Bligh government has already spent $102 million researching cleaner coal technology through the state-owned ZeroGen, a joint state-commonwealth government and industry led-research project for coal-fired power production. Sep 2010: Victorian Premier Brumby’s Wonthaggi desalination plant will cost Victorians $15.8 billion over the next three decades, departmental figures show, leading the state opposition to accuse the government of hiding the project’s true cost. Yes, Australia can afford it. Governments need to stop wasting taxpayer money. Current emergency management across Australia remains grossly under-resourced, ill-equipped and typically wholly reliant upon unpaid volunteers and individual community members dong their bit. It is government negligence to the extreme. The cost of maintaining the status quo of relying upon multiple State-based agencies continues to be in the hundreds of millions dealing with major bushfires each year. Bushfires don’t stop at State borders and invariably each summer, crews cross borders anyway to help out. Each State simply doesn’t have the resources to do an effective job when it comes to major bushfire events, or indeed major natural disasters. So the task become national anyway. During the cooler winter months, when there a few if any bushfires, those agencies tasked in bushfire management are in the main idle, while at the same time the State Emergency Services are often overwhelmed dealing with storm emergencies. By combining all emergency services (excluding police and ambulance services) into one national body, the combined force will be better trained and resourced to tackle any form of civil emergency any time of year. The resources will be more continuously employed, have greater capacity and be at a greater state of readiness to deal with civil emergencies. Australian governments at all levels need to stop their ‘too-little-too-late’ reactionary responses to emergency management in Australia . 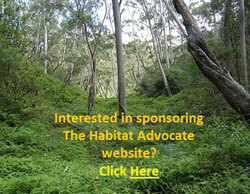 The Australian people, the Australian economy and the Australian natural environment deserve better. Currently, we have disparate grossly underfunded State run groups largely staffed by local volunteers – volunteer rural fire services, volunteer state emergency services, and total dependence upon various charities like the Red Cross and Salvation Army. The responsibility for emergency management throughout Australia has been run on the cheap by successive State and Federal governments since Black Friday of 1939. National Disaster Management is probably the most neglected responsibility of all government services, because to do it right involves long term planning beyond election cycles and costs so much money. Nationally, Australia has no central organisation that deals with national disasters, natural or otherwise. The job is left to the relevant State Government concerned; somewhat a leftover remnant of colonialism. There is a token agency under the Federal Attorney General’s Department, called Emergency Management Australia, but the name is more impressive than the tasks it performs. In 2005 under the Howard Government, Emergency Management Australia was on paper “tasked with co-ordinating governmental responses to emergency incidents” and with providing training [at Mount Macedon] and policy development, yet “the actual provision of most emergency response in Australia (was)… delivered by State Governments.” [Source: http://en.wikipedia.org/w/index.php?title=Emergency_Management_Australia&oldid=32590701]. In November 2007 under the Rudd Government, the Emergency Management Australia focus was modified, slightly: “On request, the Australian Government will provide and coordinate physical assistance to the States in the event of a major natural, technological or civil defence emergency. Such physical assistance will be provided when State and Territory resources are inappropriate, exhausted or unavailable.” – and they gave it an acronym ‘COMDISPLAN’ standing for Commonwealth Government Disaster Response Plan. [Source: http://en.wikipedia.org/w/index.php?title=Emergency_Management_Australia&oldid=174306765 ] That is, in lay terms, the Australian Government will only help in national emergencies when the States can’t handle a public emergency. Emergency Management in Australia doesn’t even have a dedicated minister responsible. Instead, the entire responsibility is tagged on to the Federal Attorney General’s Department. Currently the task is being delegated to an ‘Acting’ Attorney-General Brendan O’Connor and shared with Minister for Human Services Tanya Plibersek. It is as if the Australian Government has a head in the sand approach to national emergencies at home, hoping they won’t happen, but when they do, she’ll be right mate! – we’ll fob our way through it as best we can with what’s lying around. What a bloody irresponsible approach to national emergency management! And all the government does is to encourage the thousands of Queensland residents affected by the flooding to lodge a claim for the Australian Government‚ Disaster Recovery Payment ‘AGDRP’ – another acronym! The Council of Australian Governments (COAG) met in Brisbane on 7 December 2009 and agreed to a range of measures to improve Australia’s natural disaster arrangements. COAG recognised “the expected increase to the regularity and severity of natural disasters”, and so agreed to a new whole-of-nation ‚resilience based approach to natural disaster policy and programs.” Under a Natural Disaster Resilience Program, at Federal level we now have Commonwealth funding for disaster mitigation works and support for emergency management will be approximately $110 million over four years. That funding would deliver more effective benefits by being channelled to single national body, rather than spread across multiple duplicated agencies. The responsibility for proper governance of civil disaster management (contingency planning, mitigation, resourcing and response) by Australian governments span not just within Australia’s shores but as a wealthy nation and an international citizen, Australia owes a duty of care to countries in its region. Last September, Australia’s closest neighbour, New Zealand, suffered a devastating earthquake in Christchurch, and we don’t have to travel far back to recall the 2004 Indian Ocean Tsunami that devastated coastal Sumatra, Thailand, Sri Lanka and the Maldives. Currently, Australia is responding with emergency management personnel, equipment and funding to the Japanese Government following the earthquake, tsunami and nuclear plant emergencies. That response would be all the more effective, co-ordinated and resourced if under professional umbrella Civil Emergency Corps. Only with a national, military style and fully funded organisation, can Australia expect to adequately prepare, resource and deal with national civil emergencies. The current State-based volunteer-dependent system does not have a hope of getting access to real-time satellite monitoring of the nation for ignitions, tsunamis, storms and the like, nor access to standby airborne fleet to effect military speed responses. Instead, the current system relies on an outmoded and slow truck-centric ‘mum-and-dad’ army whom, while well-intentionedand dedicated, are grossly inadequate to meet the scale of the challenge. The increased prevalence of climate change is expected to increase the frequency and severity of natural disasters in our region, yet Australia’s readiness continues to lag decades behind the requisite emergency management need. Only a complete transformation of Australia’s emergency management to a military-speed national defence force has a chance of adequately preparing Australia for inevitable future natural disasers and civil emergencies. Cumulatively, Australia already spends billions in emergency management, but most of the cost is in response due to being under-prepared. In natural disaster management, mitigation and prevention where possible are better than the cost of poor response. It is cheaper economically and on lives. Many secondary school leavers could be readily recruited into a non-combative Civil Emergency Corps service for limited services, than are attracted to the traditional three combative military corps. Amalgamating the many disparate organisations into one will enable national standardisation of policies, procedures and techniques as well as enable best practice in effectiveness and efficiency. By having a national, multi-skilled, professionally trained and properly resourced Civil Emergency Corps, Australia will be better placed to assist and respond to natural disasters across Australia and throughout the Oceanic region. 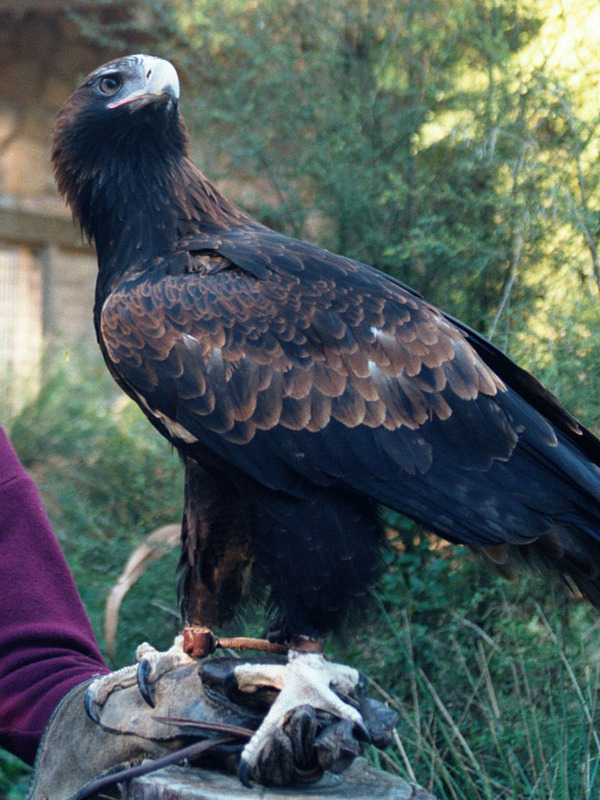 Australia’s magnificent wedge-tailed eagle should be the mascot of this new organisation. 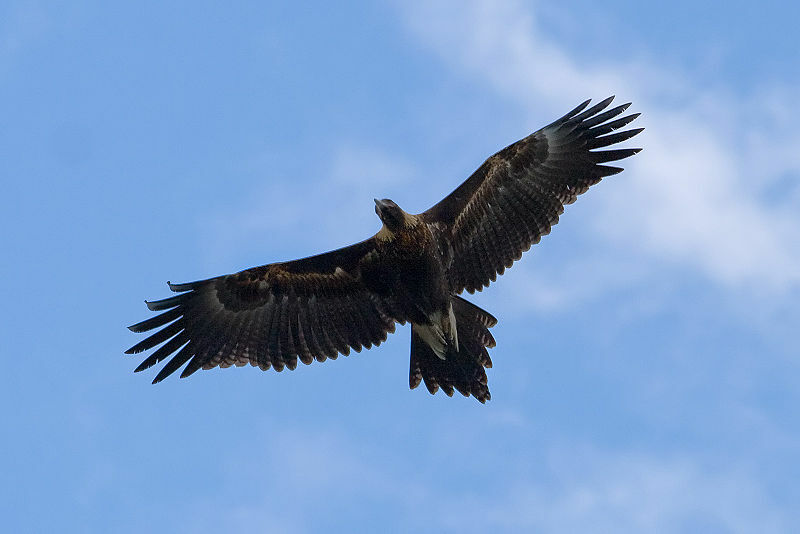 It is uniquely Australian, a highly respected native bird and the eagle traditionally is a symbol for guardianship, protection, power, strength, courage, wisdom and grace. All these qualities quite apt for a Civil Emergency Corps. An appropriate motto is ‘defending our community’ – or perhaps ‘vigilant, capable, immediate‘ but instead of in English or translated back to Latin, more appropriate that it be in an Australian Aboriginal language. [Postscript: This article has been prepared based upon material in a previous article on this website published 1st January 2011 entitled ‘National Disasters Best for Capable Army‘]. This entry was posted on Saturday, March 19th, 2011	and is filed under 12 Strategic Leadership & Management!, Threats from Bushfire. Certainly needed; but the hairs on the back of my neck raised instantly, absolutely NOT with a military focus. It can only be with a community collaboration focus. However, please re-read all references to ‘military’ in the article. It recommends a military structure, discipline, precision, style, and military-speed responses. It is not about a military focus. It explicitly advocates a ‘non-combative’ focus. Australia’s state-based current emergency focus is woeful. It lets people die, houses burn and deliberately causes destructive evil to vast swathes of native forest ecosystems. The amateur country-club culture is inappropriate, ill-equipped and under-resourced to effectively meet 21st Century Australian expectations at times of major civil emergency. Only an overhaul toward a national military style and professionally paid organisation stands a chance of averting another Black Saturday. I fully agree with the article that there is an urgent need for a bush fire reform and that the proposed formation of a “Civil Emergency Corps” is the right way of achieving it. But as the frequency and intensity of some of the natural disasters are exacerbated by human induced loss of biodiversity and global warming as well as changes to natural water courses, exotic species imports and the irresponsible planning, the Civil Emergency Corps will soon be unable to cope with it work load unless we urgently address our society’s current anthropocentric, economy driven ecologically unsustainable culture.